The General Store was the last standing timber frame-constructed commercial building in downtown Northville. Built between 1830 and 1850 on E. Main, many businesses have occupied this building during its history, one of which was a general store. It was rescued from demolition by Society volunteers and has since been reconstructed with its grand re-opening during the 2010 Victorian Festival. 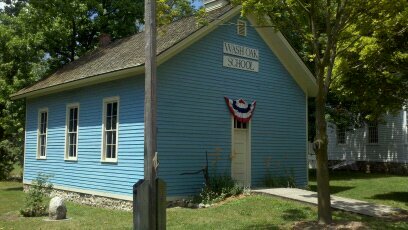 One of the few surviving one-room schoolhouses in Michigan, Wash Oak School was moved to the Village from Salem Township in 1975. Built in 1873 it remained in operation until 1966. 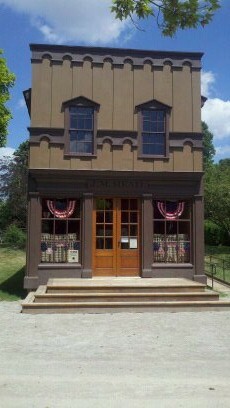 It is still used as a classroom for hundreds of elementary children who visit each year as part of a special history curriculum sponsored by the Northville Historical Society. 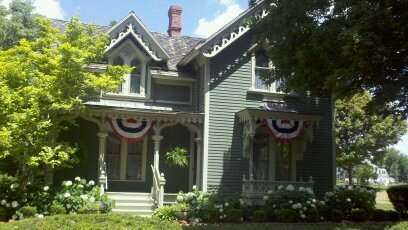 The Yerkes House was built in 1873 by William Purdy Yerkes, son of one of the earliest settlers of this area, and his wife Sarah (Cady) Yerkes, daughter of one of Northville’s founders.